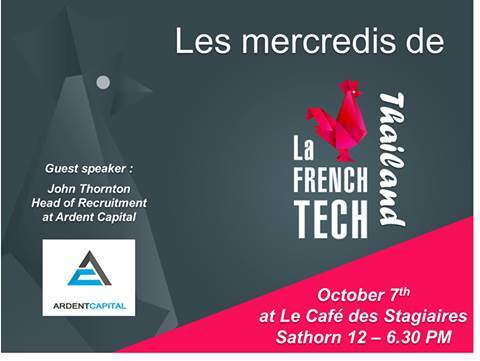 Les Mercredis De La French Tech Thailande proposes a monthly event, every first Wednesday of the Month. This month our special guest and speaker will be John Thornton , head of recruitment at Ardent Capital, one of the leading venture builder in Southeast Asia. 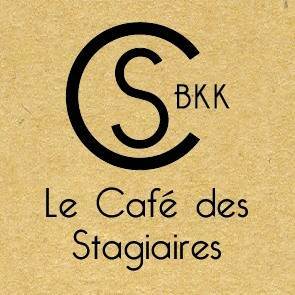 After a general presentation of the company and his mission we will discuss about what it takes to work for a Venture Capital. Additional topics can be posted by any member on the event page. Come and join us for this special networking event !